Ron Howard is a mindless, commercial-movie wh*re! He should be shot for single-handedly butchering only the greatest story to hit the silver screen in years.. and he managed to do it before the movie was even shot!! In case some of you don't know where this hatred and full-on rage is coming from.. allow me to clarify. Ron Howard is that guy from Happy Days (the old T.V. show) who is now some big-time Hollywood director.. Anyway, he's the director for the movie adaptation of The Da Vinci Code. Yeah, only the best, most original script to come out in years and they give it to Ron Howard! Now, I don't have anything against the guy on a personal level (though that may be hard to believe at this point..) and I honestly don't mind him directing the movie, but why... WHY did they put him in charge of casting?? He has chosen none other than Tom Hanks, the worst person for the role of Robert Langdon (The hero of the Da Vinci Code), as the lead! Tom Hanks!!? Talk about doing anything to make it a blockbuster! I mean, yeah Tom Hanks is pretty much guaranteed to bring people to the theaters, but come on! He is sooo not right for this role as anyone who has really devoured the book would know! They should have done a poll on the authors' web site.. whereby everyone would go and nominate actors for the lead roles and then vote on the nominees... That would have been fair. You have to understand that this isn't just any other movie.. This is a story that has rocked not only a nation, but the entire world. It brought a somewhat understated and academics-only theory into the spotlight. It deserves to be brought to the silver screen in the most perfect form that Hollywood can muster. If it were up to me.. and believe me, I have put a LOT of thought into this.. I would have chosen Jeff Goldblum... He's got that perfect blend of smart, but quirky with a little bit of dork thrown in that is Robert Langdon's style... He would be perfect! Kind of a blend between his roles in Jurassic Park and Independence Day. I don't really give a damn as to who plays the other characters, but those two were vital! They would set the tone of the whole movie and Ron Howard has completely ruined the movie for me without my even seeing it! And now, I'm faced with a dilemma... should I even see the movie?? I'm afraid it'll ruin the book for me... that every time I turn the pages of my beautiful, limited-edition, illustrated version of The DVC, I'll be haunted by images of Tom Hanks' annoying, gray curls and Audrey Tattou's collagen enhanced lips running all over paris... :s Damn you, Ron Howard!! I don't know the director, but his casting choice indicates an adherence to the book, and not a preference for Tom Hanks himself. 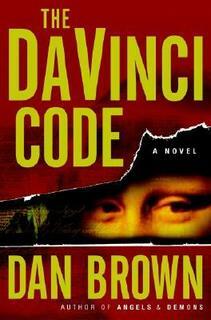 So if we want to bash the casting, I think we should start with Dan Brown. And I think Audrey Tattou's previous roles make her suitable as the leading decodifying lady, there is something cutely mischevious about Sophie, just like Amelie. This is a story that has rocked not only a nation, but the entire world. Oh, and the guy who played the leading role in Wimbeldon, can't remember his name, he is playing the Albino. Yeah Paul Bettany.... I like him, he's hot, but I don't know if he is Silo material. I know I'll end up seeing the movie eventually.... oh, well... c'est la vie! I don't have anything against Ron Howard ,I think he's a good director ,I am sure you have seen movies like A Beautiful Mind & Appolo13 ,I am sure he will be able to deliver a very good movie ,not very sure ofcourse that his version will deliver what fans expects but we should wait and see ,and you should be in the front rows of audience to see Davinci Code the movie! They should have done a poll on the authors' web site.. whereby everyone would go and nominate actors for the lead roles and then vote on the nominees)-I am sure you know that is almost impossible ,even if it was done they wouldn't have took audience's selection into consideration cause they have other measures ,and by they way I don't think that there would be any other one but you to choose some one like Jeff Goldblum! for the leading role ,he's a fine actor but not for this movie. And if I'm right the 'hero' is supposed to be compared to Harrisson Ford (who's way too old to play that one). tom cang> Hell, yeah! Harrison Ford is waaaay too old for that role!! Il 7ayn Tom Hanks oo gilna he's too old hal marra Harrison Ford!!!? ?